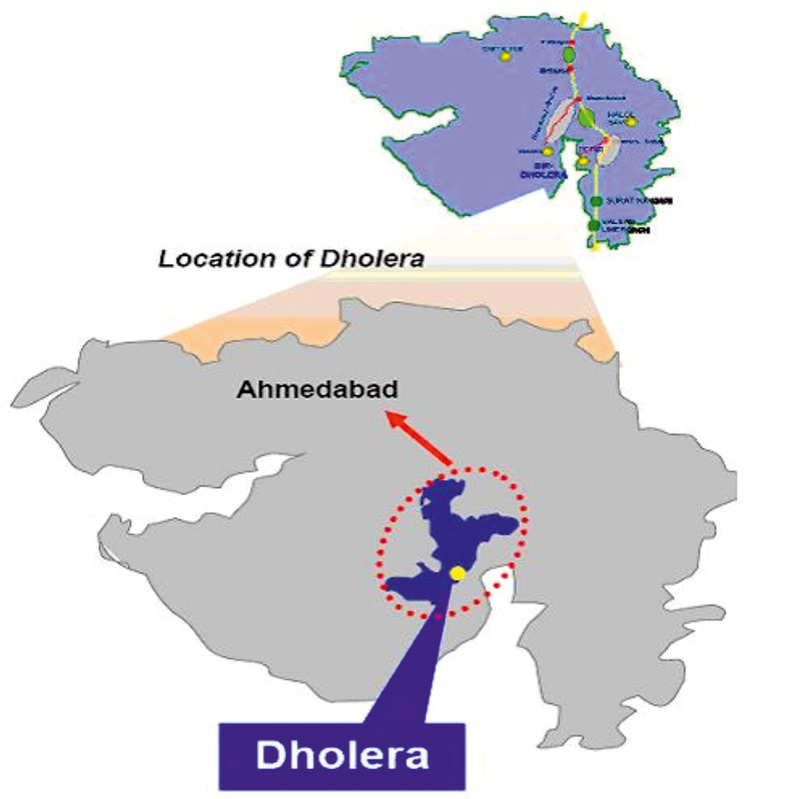 Dholera location compliments its mission to become a global trading and manufacturing hub. 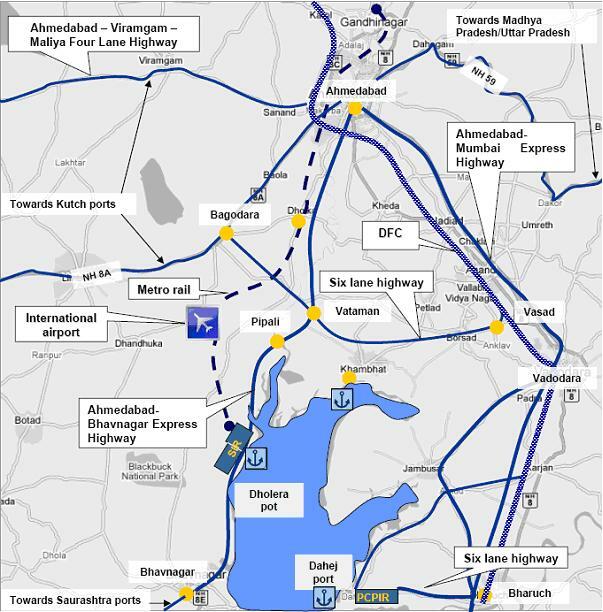 Located close to the Delhi-Mumbai Corridor and near the Dedicated Freight Corridor makes the region an epicenter for economic activities and allows easy transit of finished goods and raw materials to and from Dholera. 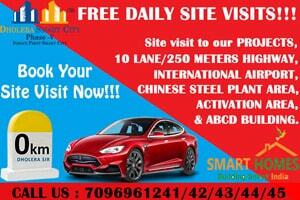 It is largely due to Dholera location that corporate giants across the globe have been explicitly showing interest in buying vast pieces of land in the city to set up their manufacturing units. The city is located in Gulf of Khambhat, Gujarat, 100 Kms from the prominent city of Ahmedabad and 128 Kms from Gandhinagar. 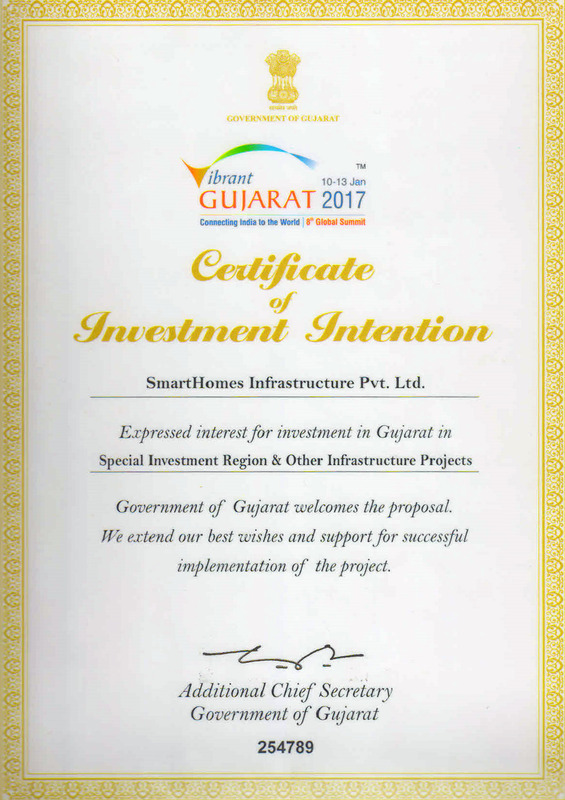 Its close linkage with the cities of Rajkot (225 Kms), Surat (278 Kms) and Jamnagar (313 Kms) are important factors that may largely contribute towards the economic development of Dholera. The fact that Dholera location makes it well connected to Mumbai (516 Kms) and Delhi (815 Kms) cannot be overlooked as it directly impacts the growth potential of the city. 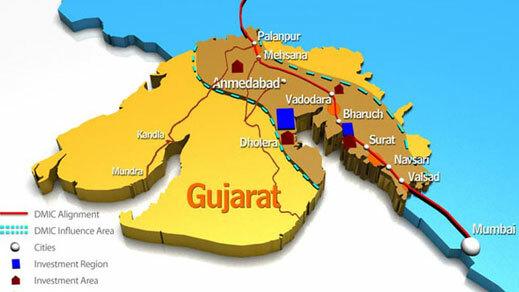 Metro route has been planned between Gandhinagar-Dholera-Ahmedabad. 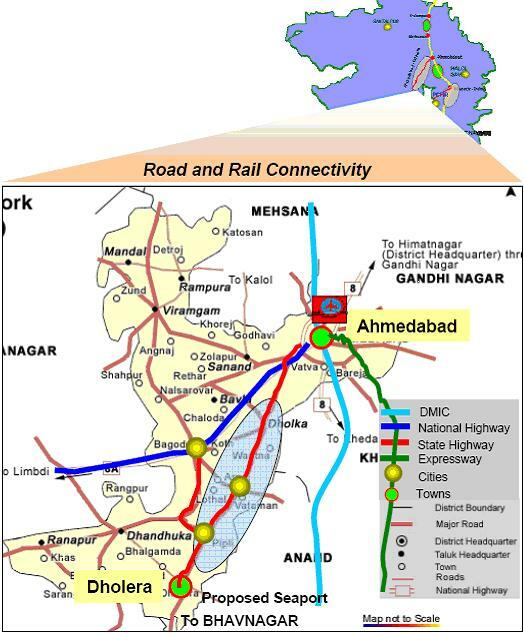 A six lane high speed expressway is being constructed to connect the city to Ahmedabad and Bhavnagar. Road connectivity shall be enhanced through National Highway 8 which shall connect Dholera to Mumbai and also pass through Bhavnagar and Ahmedabad. 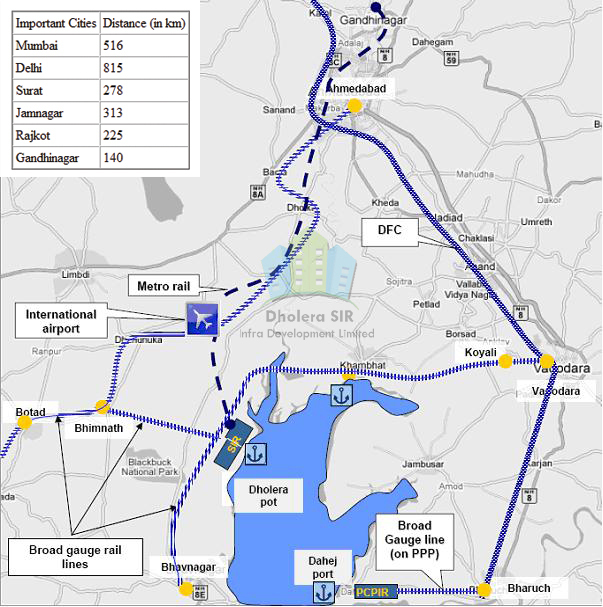 Dholera location favors its connectivity via sea route through a nearby port. Similarly the railway route is also being extended till the smart city for better connectivity across India. The Dholera international airport has taken Dholera's connectivity to another level and made it a globally accessible smart city of India.